Let Medicap Pharmacy® organize your medicine for you with Dispill® Multi-Dose Packaging. When you enroll in this innovative service, our pharmacist places the pills you need for each dose into individual packets. 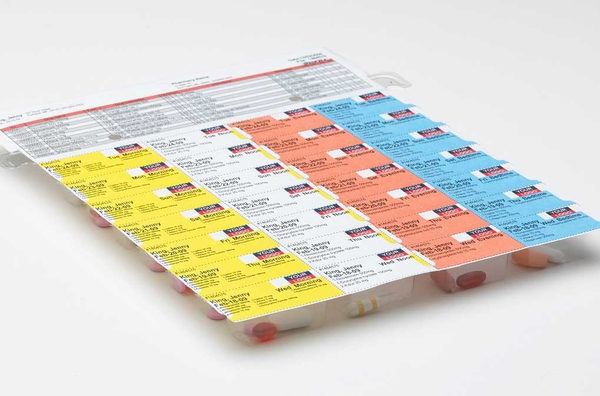 Our labels make it easy to identify when to take your pills because each cell has the date and time. The label can also be color coded to make it easier to visually identify the time of day.